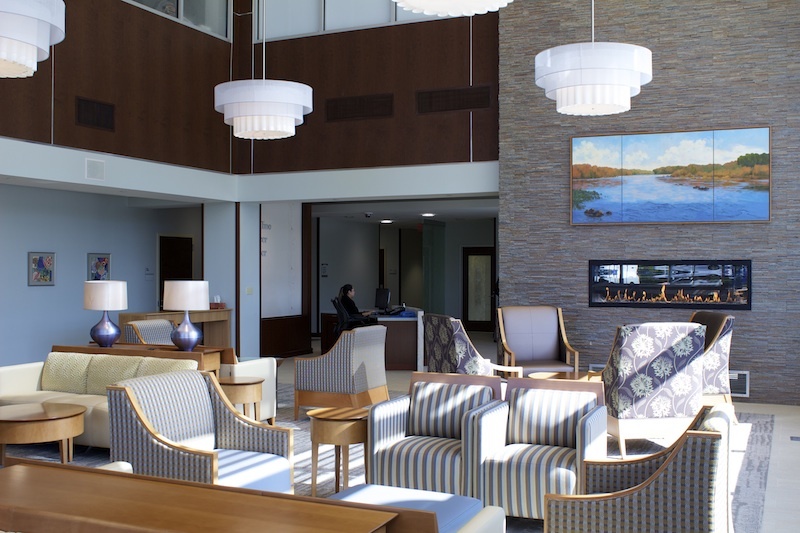 In November of 2013, the Adventist Healthcare System opened the first community-based, free-standing, comprehensive cancer center in Montgomery County, MD. 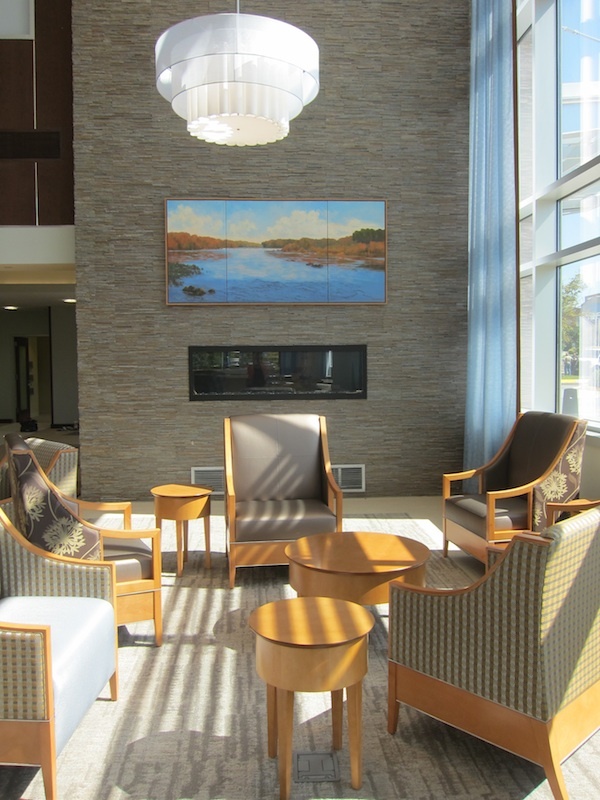 The Aquilino Cancer Center is located on the campus of the Shady Grove Adventist Hospital and offers personalized, coordinated care in a unique environment that includes diagnostics, surgery, radiation, chemotherapy, pain and symptom management services and immunotherapy. A new, self contained, 3 story structure of 46,600 square feet will house the Cancer Center. 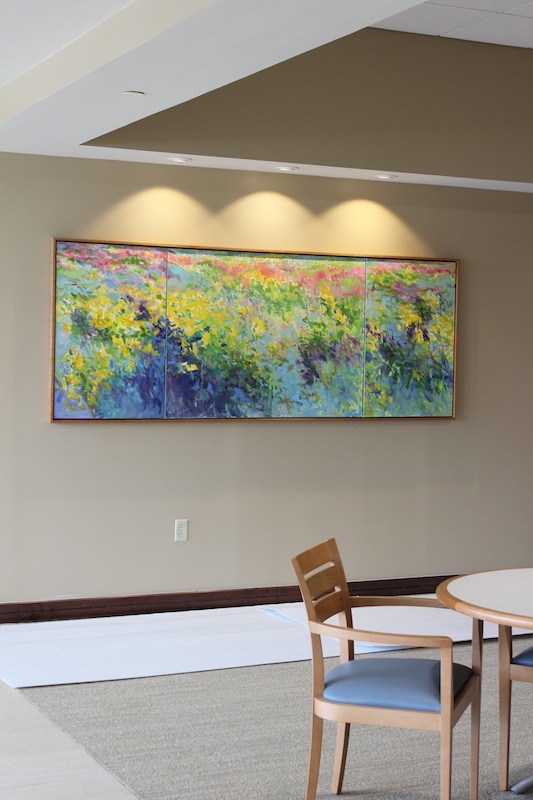 To compliment the structure and to help create a physical environment that is respectful of the stressful and serious nature of this disease, Fitzgerald Fine Arts (FFA) was contracted to do what they do best: provide art that is an integrated component of the healing process and offers solace to patients, their families and loved ones and caregivers. 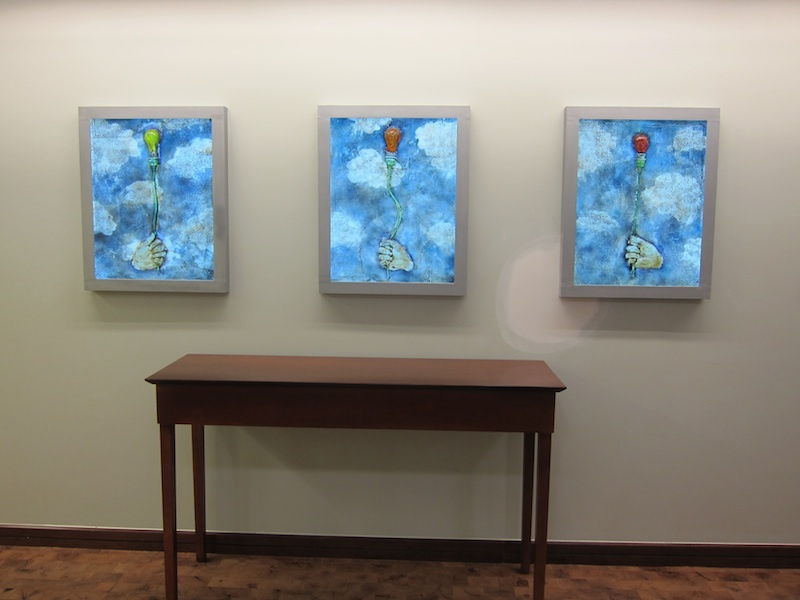 In its 30 years of providing curatorial services, FFA understands the power of art to enhance a healing environment. 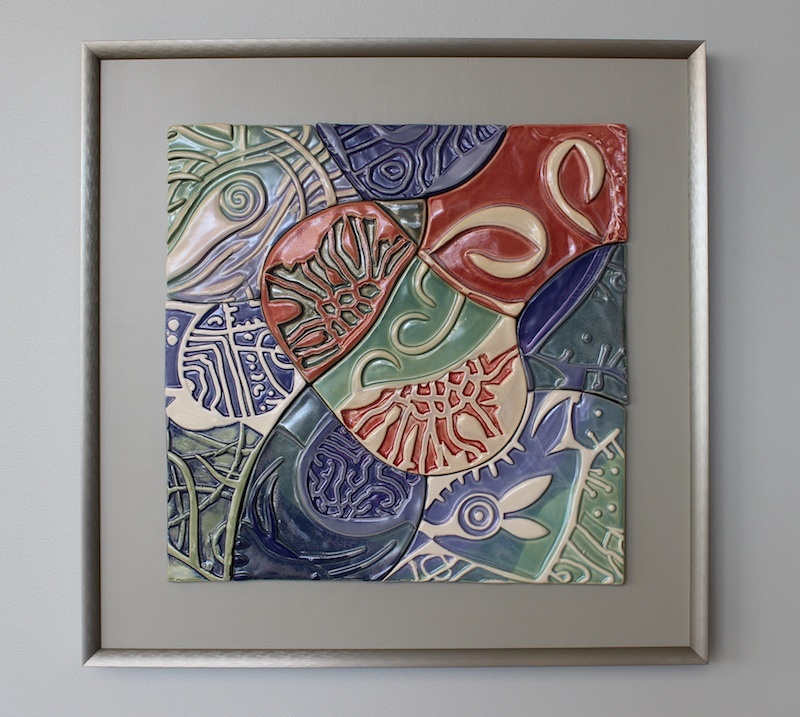 Their selection of paintings, photography, sculpture and ceramics from local artists results in an even richer experience for everyone coming to this Upper Montgomery County location. 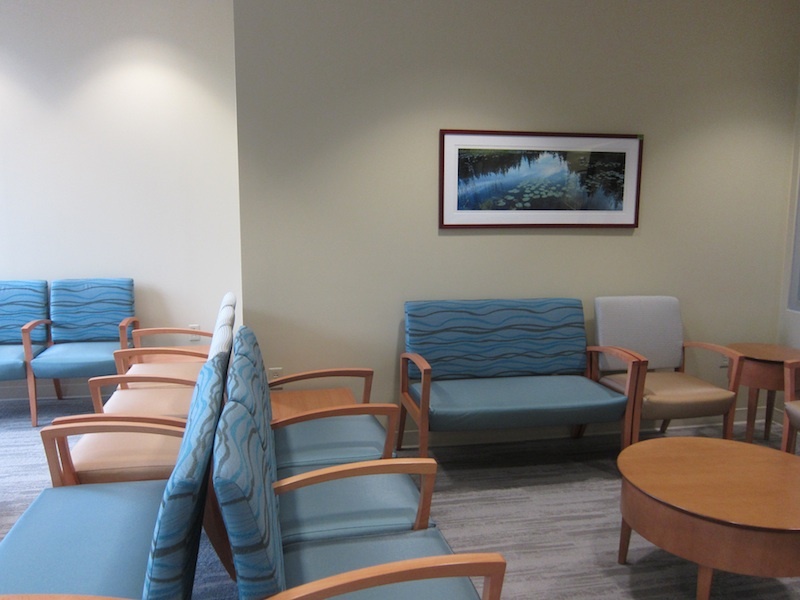 FFA was given an opportunity to be truly innovative in realizing the Cancer Center’s vision. 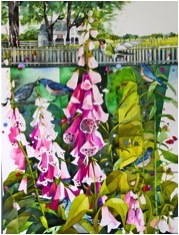 An overriding theme of spirituality – which embraces all faiths, and nature and emphasizes the change of the seasons, was developed. 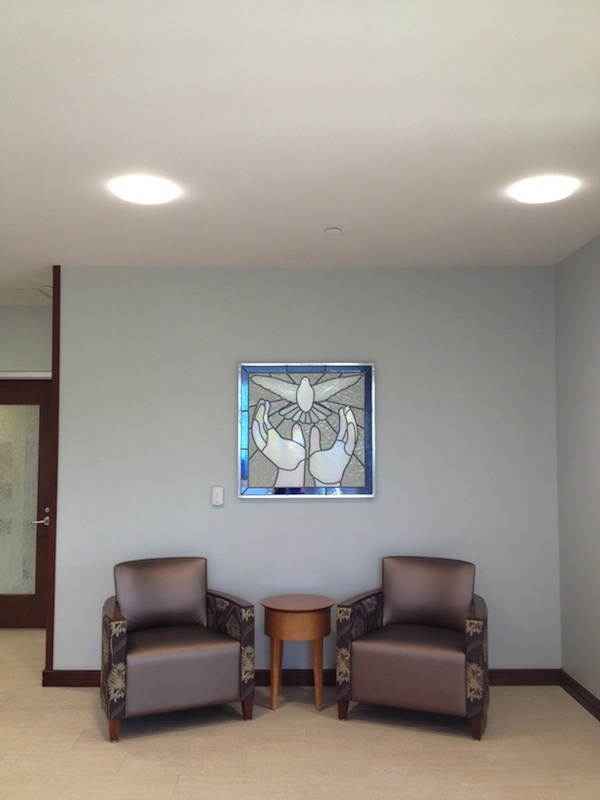 The careful and sensitive design of the meditation room was especially important to this project. 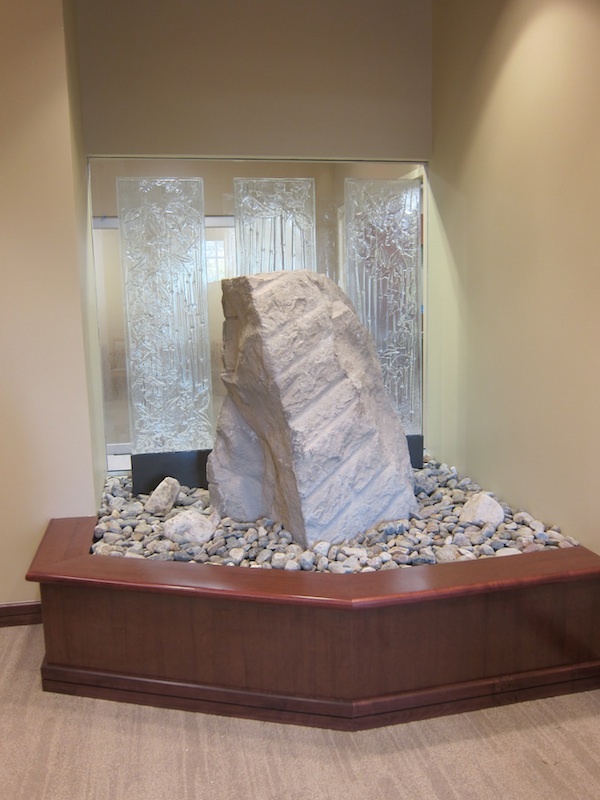 The client wanted to feature a blessing stone as a symbol of both strength and resistance. 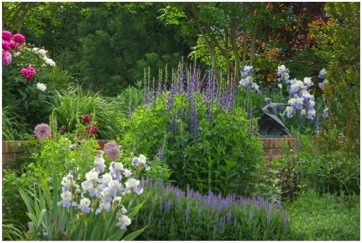 A great team; including Luck Stone Quarry (which donated the stone), the project contractors and the Washington Glass School artists, worked together to put the 2000 pound boulder in place and create a beautiful, thoughtful space. Specially scaled and themed commissioned art also played a feature role. 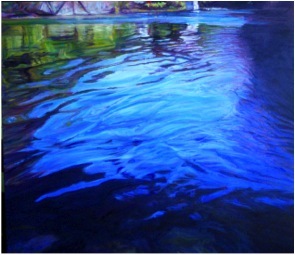 Marietje Chamberlain created a masterful painting of the Potomac River for the two story stone fireplace. 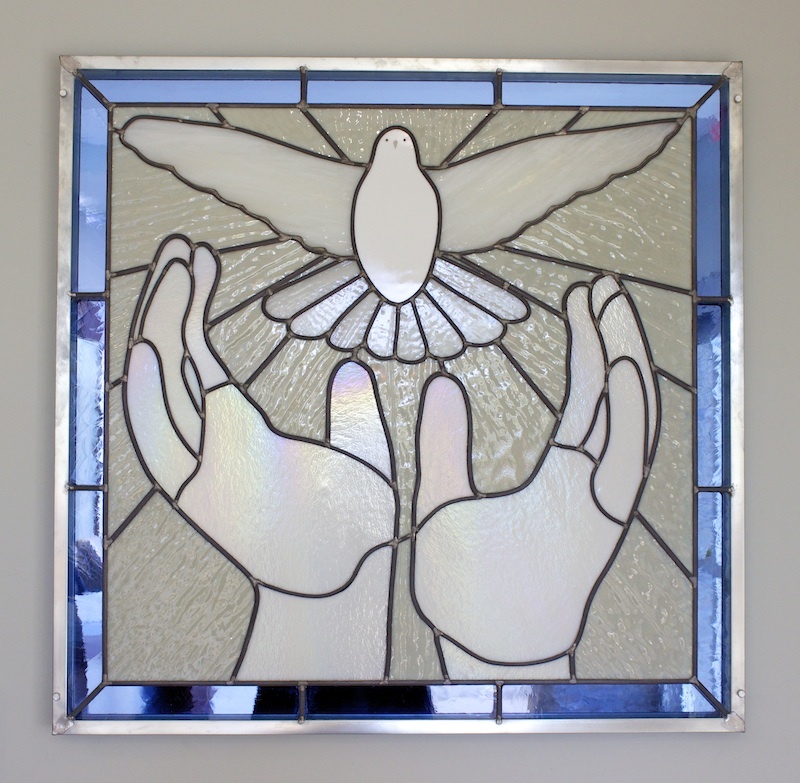 Vee Osvalds realized the client’s vision of dove and hands in an unusual monochromatic stained glass piece and Sean Hennessey created a poignant installation “The Hope of Healing” using LED lights and layers of glass.